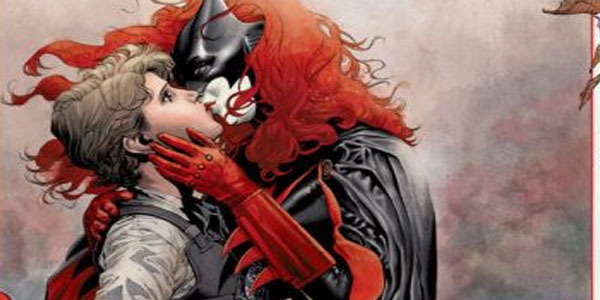 Batwoman Writers JH Williams & WH Blackman Quit Over DC Gay Marriage "Prohibition"
JH Williams III and WH Blackman, both writers on DC's Batwoman series, have announced their forthcoming departure from the title, as Williams wrote on his blog today. Williams cited editorial interference at the last minute, changing major storylines for Batwoman leading to poorer quality comics. 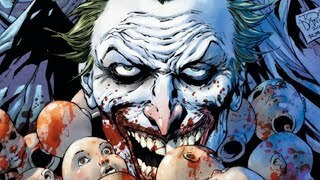 Unfortunately, in recent months, DC has asked us to alter or completely discard many long-standing storylines in ways that we feel compromise the character and the series. We were told to ditch plans for Killer Croc's origins; forced to drastically alter the original ending of our current arc, which would have defined Batwoman's heroic future in bold new ways; and, most crushingly, prohibited from ever showing Kate and Maggie actually getting married. All of these editorial decisions came at the last minute, and always after a year or more of planning and plotting on our end. We've always understood that, as much as we love the character, Batwoman ultimately belongs to DC. However, the eleventh-hour nature of these changes left us frustrated and angry  because they prevent us from telling the best stories we can. So, after a lot of soul-searching, we've decided to leave the book after Issue 26. We're both heartbroken over leaving, but we feel strongly that you all deserve stories that push the character and the series forward. We can't reliably do our best work if our plans are scrapped at the last minute, so we're stepping aside. We are committed to bringing our run to a satisfying conclusion and we think that Issue 26 will leave a lasting impression. Not wanting to be inflammatory, only factual- We fought to get them engaged, but were told emphatically no marriage can result. What editors & DC need to learn from this, and everything else in the last couple years of this, is how to get the best work out of people. That should be our jobs. I've failed many times, not out of malice--not lately anyway--but by making poor choices and not thinking ahead. It seems from the very distant outside like editorial direction at DC sometimes changes with the wind, and I know for a fact that THAT... ... makes it impossible for creators to tell good stories--moreso than any disagreement over any one storyline, no matter how significant. Before the New 52 launched, writer Greg Rucka left Batwoman citing editorial interference while Batwoman artist Amy Reeder also left DC over "creative differences". Williams did confirm that his departure would not affect his collaboration with Neil Gaiman on their forthcoming mini-series, Sandman: Overture, due out later this year. JH Williams III and WH Blackman's last issue on the series will be Batwoman #26.